Did you know that there is a building in the shape of a basket in the USA?! 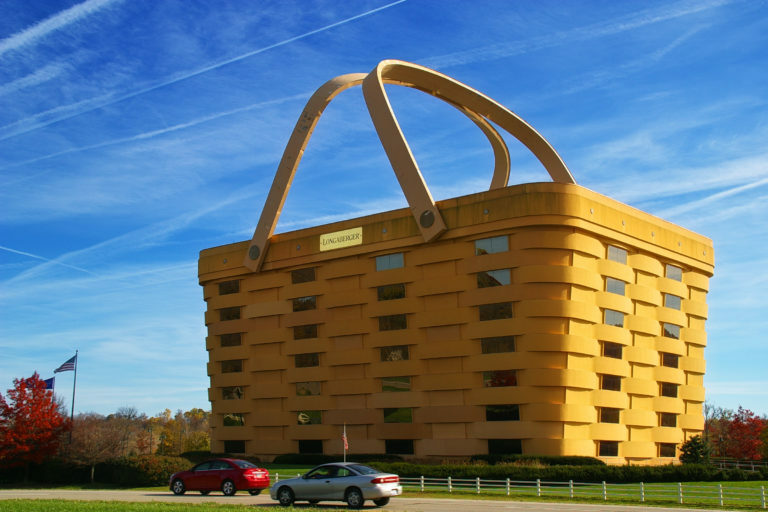 The Basket Building, in Ohio, was built in 1997 for the Longaberger Company, shaped to look like one of its trademark baskets. The building is seven-stories high and 180,000-square-foot. The basket handles weigh almost 150 tons and can be heated during cold weather to prevent ice damage. If you require assistance with your next building survey or architectural design input then please contact us on 01892 534455.